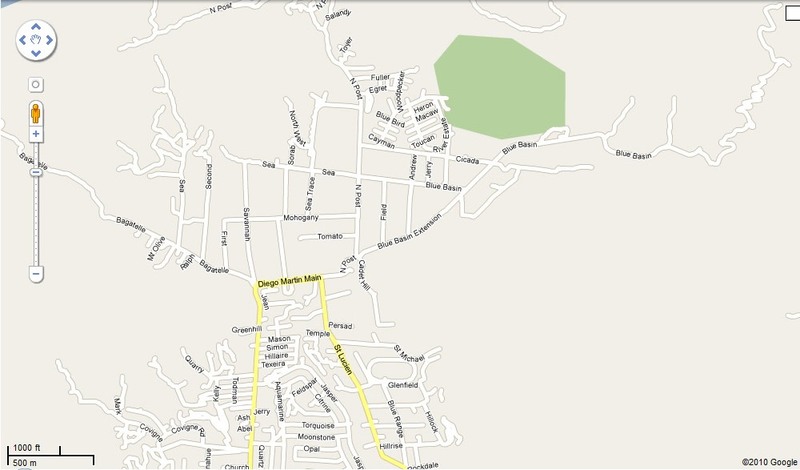 DIRECTIONS Drive until the end of Diego Martin Highway. Take a right followed by an immediate left unto St Lucien Road. Follow this road until the end. Take a right on this T-crossing. Then drive past the waterwheel (on your right) and follow the road curving to the left and crossing the Blue Basin River. Take a right immediately after this bridge onto Blue Basin Extension Road. Keep following this road, onto Blue Basin Road, towards the hash site near the Blue Basin Waterfalls.